Coupon Mama: The Rock Hill, SC Target trip only the facts need your opinion.. The Rock Hill, SC Target trip only the facts need your opinion..
OK if you have taken one of my classes you hear me tell you about MY experiences at the Target in Rock Hill and why I go to the Target on Hwy 49 (local readers). Today I stepped way way way out on FAITH to shop this store for two specific items...(taught a class on Monday night and even some of them had said they refuse to go to the Rock Hill target because of the SERVICE levels)... Here goes. I went in to pick up wipes because the 72 pack is like .44cents with the $1 off coupon. Yes my children are 8 & 10, but we know people with babies and no jobs that can use a few wipes. I put the 5 packs of wipes in my cart and then stopped and looked at the "smell goods" to see if they had the same options as Target on Hwy 49. Well they have another deal going here so I opted to go for the other item I wanted to purchase. 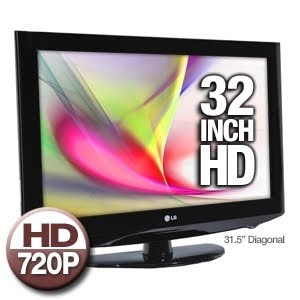 I went to electronics to purchase a Westinghouse 32" flat screen television priced at $400+. I saw the television, there were three young guys working and one older lady working all discussing the 2 day sale also known as Black Friday..well I told one of the guys that I would like to purchase this television he is about to help me when the older lady comes up and says "We don't have that television in stock". I ask are you sure, she looks on her little scanner and says nope (without the scan code). I ask can I purchase the display she says No because they will get more in, great then can I get a raincheck? No I just found out we can't give rainchecks on anymore electronics through Christmas. I ask do you have that in writing anywhere? She says no and suggests I look at another television to see if I like another one. I tell her I want that television and that there aren't any specific exclusions on the tag or "no raincheck" on the item. She starts to finish talking to the other staff again...I continue to look around the electronics department. I then go and take the tag off the television and scan it. I scanned it not to check the price, but because at the Target Hwy 49 when you scan the item you are able to obtain the stock status...not in Rock Hill. No problem I take my little scan tag up to the front and run into a SUPER NICE person. I ask her to scan the ticket she says no problem I just came from lunch but let me reboot the scanner. She reboots scans and guess what the TV is in stock...she asks would you like for me to go and get it for you...Oh my goodness sure please and thank you is all I can say. She says I will take the tag back for you...I tell her no not a problem I will take it back. She goes and gets the television brings it back and puts it in my buggy (cart)..hmmm what do you think? Now to take it a step further she even opens up a register to check me out so I don't have to wait any longer. Why did I want this TV. This television is in the Black Friday add and will be $200+ on Friday. Target has a policy (same as most stores) that if it goes on sale for a lower price within 7 days of your purchase you will receive the DIFFERENCE. So yes on Friday I will be IN THE MIX, but I will be in the RETURN line with a RECEIPT only and collecting my $200. Best Buy,Wal-mart,Target & Kmart have the same policy..maybe even Office Depot (will have to double check). What I want you to do is let me know what you think about this trip to Target. I haven't put in any opinions these are just the FACTS!!! Me thinks someone didn't feel like dealing with the "crazy coupon lady" and just wanted to talk with her coworkers. If it is who I think it is, she generally is a nice person, but not a hard worker. It that policy printed about the 7 day policy for price adjustments?